Month 8 was great, month 9 here we come? It’s month 8 is offficially over & month 9 is just beginning. Can you guys believe Tatum will be a 1-year-old? My precious baby boy has mastered standing. He has just started using a sippy cup and has 5 whole teeth coming in at once. He has been super fussy and won’t accept the bottle or food because he is teething. He has finally learned to fall asleep on his own and in his own bed. Tatum finally decided to try and stand on his own for a couple of seconds at a time. He finally decided that grass wasn’t so scary anymore as well. 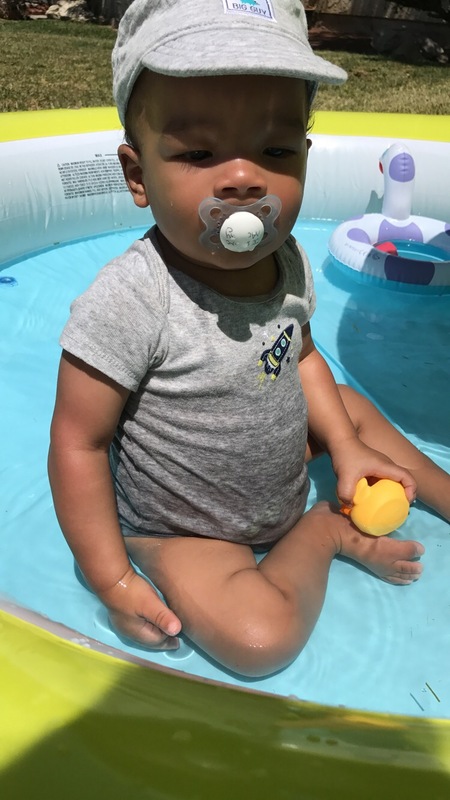 He doesn’t like the pool very much because Tatum is afraid of the water. But he tried it out for almost 5 minutes. 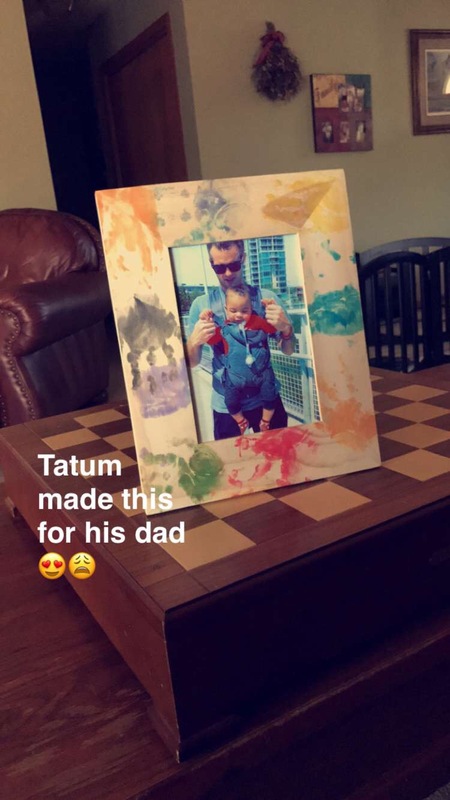 Tatum also got to travel to Nebraska again and spend Father’s Day with his dad & made him a wonderful gift. In the process, I realized Tatum is not interested in painting. But would you say it was a success? Time is moving by so fast, before you know it your little one might grow up and realize he doesn’t like you as much. So enjoy the cuddles and that perfect smile for as a long as you can. Craving a little one of your own. Do you love Bruno Mars? I do. Month by Month during Pregnancy.